The final event of American Craft Beer Week is almost here. 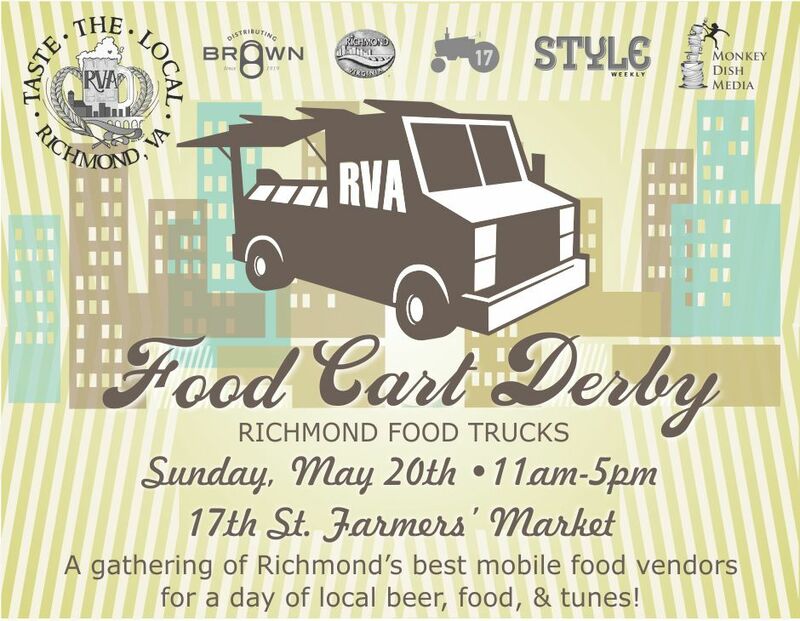 The Richmond Food Cart Derby will take place on Sunday, May 20th at the 17th St Farmer’s Market from 11am-6pm. Presented by Taste the Local, Style Weekly, Monkey Dish Media, 2BNB, Richmond 17th Street Farmers Market, Clear Channel, Radio Rubber Room, and Brown Distributing, the event will celebrate Virginia beer and local food. This will be a great event you should not miss. Come on out and get some local food and beer. I will see you there!